Abstract—Java is one of the mainstream programming language s in current. Well, the traditional way that Java calling the COM component of office document is very complicated and may lead to some bugs because of the problem cause by data structure. This paper has implemented and analysed three mainstream ways to convert the document and indicate their efficiencies through the experiments. Finally, we found the best way in order to learn and use. Index Terms—Java, office document, JNI, PDF document, automation. Jiang Lizheng is with the Network Information Engineering, North China Electric Power University(NCEPU), Beijing, Changping 102200 China (e-mail: jianglizheng@eplian.com). Xin Zheng is with North China Electric Power University (NCEPU), Beijing, Changping 102200 China (e-mail: 379137847@qq.com). Zhao Jiantao is with the Computer Information System Security Engineering, North China Electric Power University (NCEPU), Beijing, Changping 102200 China (e-mail: zhaojiantao@eplian.com). 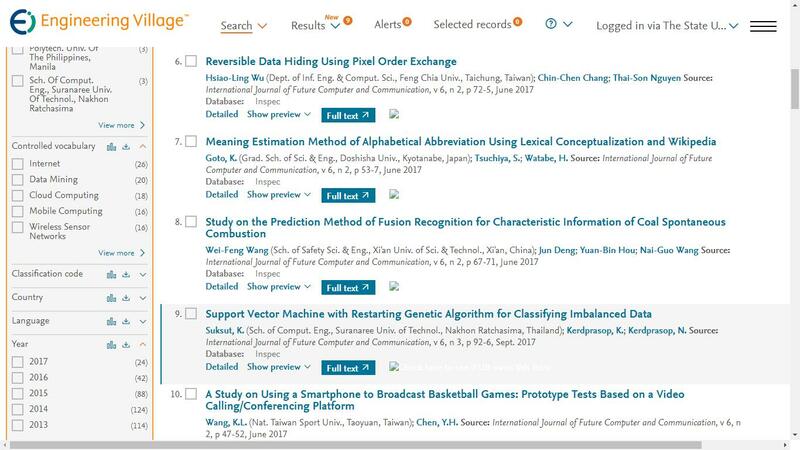 Cite: Jiang Lizheng, Xin Zheng, and Zhao Jiantao, "Implementation and Comparison of the Way That Office Document Is Converted to PDF Documents in the Java Runtime Environment," International Journal of Future Computer and Communication vol. 4, no. 6, pp. 431-434, 2015.